State Representatives Barbara Sears (R-Sylvania) and Ron Maag (R-Lebanon) today introduced legislation to preserve the freedom of Ohioans to make their own health care decisions. House Joint Resolution 3, known as the Ohio Health Care Freedom Act, would propose an amendment to Ohio’s Constitution to prohibit any Ohio law or rule from forcing any person, employer, or health care provider to participate in a health care system. If passed, the Ohio Health Care Freedom Act would appear as a ballot issue in February 2010. Ohio joins seven other states (Arizona, Florida, Indiana, Minnesota, New Mexico, North Dakota and Wyoming) across the nation who have also introduced legislation with similar language. 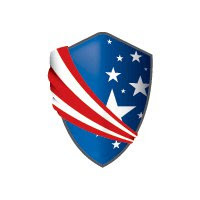 Here is how you can help -- Currently, House Joint Resolution 3 (Click here to read) is languishing in the House Insurance Committee. In order for anything to happen, there needs to be two (2) more public readings of HJR3, it must successfully pass out of Committee and then it can be brought to the House floor. We need to contact the offices of the OH House members on the Insurance Committee where it appears HJR3 may be purposely being stalled by Rep. Dan Dodd, Chairman of the House Insurance Committee. We are asking the OH House Insurance Committee members to support HJR3 and that it be immediately scheduled for the required readings. To sign the Tea Party Patriots ' Repeal The Bill ' petition CLICK HERE. Then visit the Tea Party Patriots facebook page and tell us what signor number you are in the comments section.Lets see who can be signor number 25,000, 50,000 and 100,000. 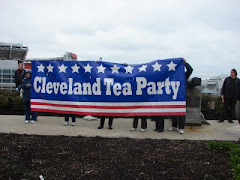 Make sure you also visit the Cleveland Tea Party Patriots facebook page (click here) for information about the real grass roots Tea Party that will be held on Tax Day April 15th at Mall C in Downtown Cleveland. What are you doing on April 15th? Below are the Congressman in OH that are one the fence for supporting a government take over of our health care. Harry Reid says "Taxation is Voluntary"
Will they "Slaughter" the Country with Hellth Care? Members of the U.S. House of Representatives have never before been asked to pass legislation by "deeming" it approved under a House rule instead of following the process required by the U.S. Constitution in which they actually vote on the proposal itself, according to a senior aide to House Republicans. The procedure - dubbed by critics as the "Slaughter Solution" - is the brain-child of House Rules Committee Chairman Rep. Louise Slaughter, D-NY, who, at the request of House Speaker Nancy Pelosi, D-CA, is trying to fashion a rule that would allow the House to move toward passage of a health care reform bill without a recorded vote on the Senate version. Like the Senate, which adopted its health care reform measure on Christmas Eve, the House passed its version last year. But there are major differences between the two measures, especially concerning federal funding of abortions. The Senate version includes billions of dollars to fund new health care clinics that would offer abortion services. The House bill was passed only after Rep. Bart Stupak's amendment barring federal funding for the procedure was included. Here are unconfirmed details for the healthcare rally on Monday, March 15. President Obama is tentatively scheduled to speak at 10:30 a.m. in Strongsville. Cleveland Tea Party Patriots encourages us to arrive early, anytime after 9a.m., to park and take our places on Route 82, Royalton Road. We will be lining the sidewalks in front of the Recreation Complex with our signs. Plan on rallying until noon?? The Strongsville Police Dept. knows we're coming! There are two major shopping centers with tons of spaces. Ledgewood Square Shopping Center is just to the west of the Recreation Complex and on the same side of the street. If it fills up, there are loads more spaces across the street, off of Placid Cove, in the Southpark Shopping Center. The "A" in the red pushpin is the Strongsville Recreation Center. Use the bar on the left to zoom in or out. What to bring: Signs (please stay on message!) and cameras. Dress for a cloudy day, in the high 30s, low 40s. Bring your family and friends! The below unconfirmed letter from Harry Reid to Mitch McConnell was found at Buckeye State Blog. If true, we can be sure the legal fights will soon start. Eleven months ago, I wrote you to share my expectations for the coming health reform debate. At the time, I expressed Democrats’ intention to work in good faith with Republicans, and my desire that – while we would disagree at times – we could engage in an honest discussion grounded in facts rather than fear, and focused on producing results, not playing partisan politics. Obviously, the opposite has happened, as many Republicans have spent the past year mischaracterizing the health reform bill and misleading the public. Though we have tried to engage in a serious discussion, our efforts have been met by repeatedly debunked myths and outright lies. At the same time, Republicans have resorted to extraordinary legislative maneuvers in an effort not to improve the bill, but to delay and kill it. After watching these tactics for nearly a year, there is only one conclusion an objective observer could make: these Republican maneuvers are rooted less in substantive policy concerns and more in a partisan desire to discredit Democrats, bolster Republicans, and protect the status quo on behalf of the insurance industry. after those benefits had expired. While Republicans were distorting the facts in the health care debate and inflicting delay after needless delay, millions of Americans have continued to suffer as they struggle to afford to stay healthy, stay out of bankruptcy and stay in their homes. Thousands of Americans lose their health care every day, and tens of thousands of the uninsured have lost their lives since this debate began. Meanwhile, rising health costs have contributed to a rising federal budget deficit. To address these problems, 60 Senators voted to pass historic reform that will make health insurance more affordable, make health insurance companies more accountable and reduce our deficit by roughly a trillion dollars. The House passed a similar bill. However, many Republicans now are demanding that we simply ignore the progress we’ve made, the extensive debate and negotiations we’ve held, the amendments we’ve added (including more than 100 from Republicans) and the votes of a supermajority in favor of a bill whose contents the American people unambiguously support. We will not. We will finish the job. We will do so by revising individual elements of the bills both Houses of Congress passed last year, and we plan to use the regular budget reconciliation process that the Republican caucus has used many times. Reconciliation is designed to deal with budget-related matters, and some have expressed doubt that it could be used for comprehensive health care reform that includes many policies with no budget implications. But the reconciliation bill now under consideration would not be the vehicle for comprehensive reform – that bill already passed outside of reconciliation with 60 votes. Instead, reconciliation would be used to make a modest number of changes to the original legislation, all of which would be budget-related. There is nothing inappropriate about this. Reconciliation has been used many times for a variety of health-related matters, including the establishment of the Children’s Health Insurance Program and COBRA benefits, and many changes to Medicare and Medicaid. As you know, the vast majority of bills developed through reconciliation were passed by Republican Congresses and signed into law by Republican Presidents – including President Bush’s massive, budget-busting tax breaks for multi-millionaires. Given this history, one might conclude that Republicans believe a majority vote is sufficient to increase the deficit and benefit the super-rich, but not to reduce the deficit and benefit the middle class. Alternatively, perhaps Republicans believe a majority vote is appropriate only when Republicans are in the majority. Either way, we disagree. for seniors and reduces the deficit, you will have every right to do so. The Motor City Madman -- Ted Nugent -- had the Ballroom Blitz.... our friends the Medina Tea Party Patriots are having a Boccieri Blitz! Calling all Patriots! We are holding a “Save our Healthcare” rally at Boccieri’s office in Canton on Friday. This rally is in conjunction with other Tea Party Patriots’ events that will be talking place at local congressional offices nationwide. Why Boccieri? He is one of Ohio’s MVPs (Most Vulnerable Politicians). As of right now, the latest Whip Count marks Boccieri as undecided. Some reports say that he is looking more favorably at the current proposal, even though he voted against the House version of the bill last November. All of this makes him a prime target for Pelosi, which means we need to turn up the heat. Our plan of action: While we will be protesting outside Boccieri’s office, we plan to have individuals – one by one – enter Boccieri’s office and express their concerns about the current healthcare bill to his staff. Wouldn’t it be great if we had people continually entering his office for two hours straight?! This is why we need you there. We will also have a “Boccieri phone blitz,” so bring your cell phone. While individuals from our group are meeting with staff, we can be calling his office from the sidewalk. We want to make sure that Boccieri and his staff understand that “We the People” do not want government-run healthcare. Finally, we are in the process of trying to schedule an appointment with Boccieri, since he is visiting the district. If we are able to schedule a meeting with the congressman, we are not sure how many people his staff will allow to participate. (Sen. Voinovich’s office limited the number to 5.) Either way, we ask you to join us. What to bring: Signs for protesting, letters to give the Congressman and/or his staff, a cell phone to call Boccieri’s office or media, video camera and most importantly, all your concerned friends and family. Is your healthcare freedom worth a few hours of your time? We are all tired. We are all frustrated. Do not lose focus now. It is critical that we turn up the heat. While we understand that many of you are busy, we implore you to do whatever it takes to be at Boccieri’s office this Friday in Canton to send a very clear message to our Ohio congressman. Representative Michele Bachmann said it best, “While I realize this is asking a lot in the next two weeks to go and visit these congressional offices, it is actually a very small price to pay, when you consider that we’re on the precipice of losing the finest healthcare system that has been created…” (To listen to the entire interview, visit http://www.BlogTalkRadio.com/ HotTeaRadio.) Please make it a priority to be part of this rally – let’s line the sidewalk and declare our healthcare freedom. Congresswoman Michele Bachmann will be with us today on Hot Tea Radio. This is your chance to ask the congresswoman your question. You are invited to call in at (347) 945-6871. 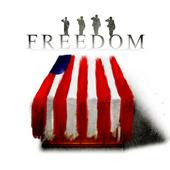 We will discuss the renewed Tea Party Patriots fight to stop nationalized health care. Listen live online at 4:00 et, 3:00 ct, 2:00 mt, 1:00 pt. Perhaps you thought the Health Care battle was over, it is not. The democrats are working towards a vote before the rallies on April 15th. If you do not stand up now, all we have fought for may be lost. The next 2 weeks may very well determine whether we end up with government run health care. It's time now for ALL Patriots to renew their strength and stand up once again. For the next 2 weeks the activities of all Americans WILL make a difference. Please join us online at http://www.HotTeaRadio.com where you will be able to discuss the events over the next two weeks and the bills before congress. We will also discuss the scheduled rallies in DC and the local rallies that will be happening over the next two weeks. Listen to HTR every Mon, Wed and Fri from 4-5 pm ET. You are invited to call in at (347) 945-6871. Wednesday, March 10th Hot Tea Radio will have Senator Tom Coburn. Monday, March 15th we will have Congressman Louie Gohmert. It's Make or Break Time with Health Care - Call Congress NOW:! President Obama is pushing very hard to pass the healthcare bill using the reconciliation process. This is a two step process. The House would approve the Senate-passed bill and changes to the Senate bill sought by the House would be passed separately through reconciliation. We must act now to prevent this. We need to call the "Blue Dog Democrats" listed below and urge them to vote no. "Washington, DC - Today, members of the fiscally conservative Blue Dog Coalition, led by Representative Bobby Bright of Alabama, will introduce legislation that would require the federal government to pay down the national debt and balance the budget by 2020." Please remind them that we can not afford this healthcare plan and that it is detrimental to their goal of achieving a balanced budget. You will find other talking points from the links below. Join us and sign the Tea Party Patriots petition to stop congress from using reconciliation to pass health care reform. Tell the politicians you want them to start from scratch on real health care reform. After signing the No Reconciliation petition join us in burning up the phones by contacting targeted members in congress and urging them to vote NO on the current health care proposals. 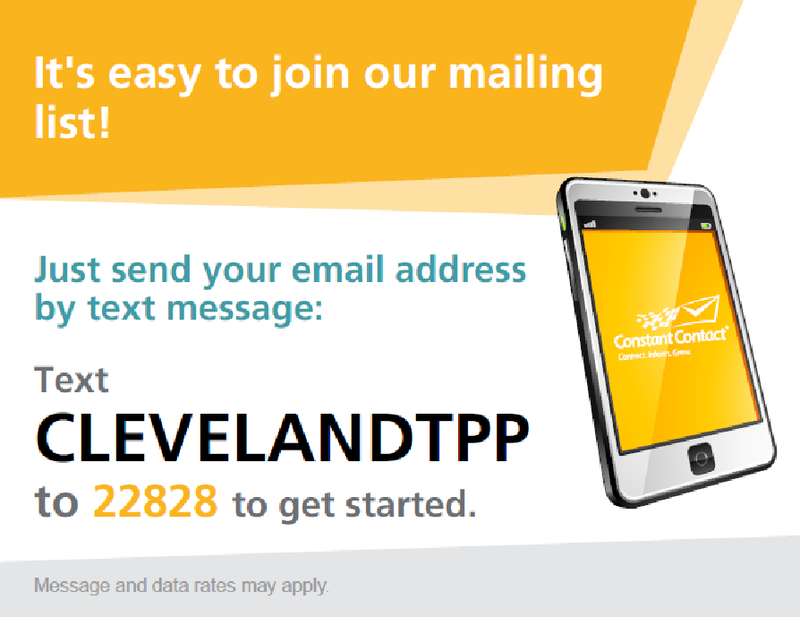 Click Here for the contact email & phone numbers for our targeted congressional members. It is only with your support that we can stop this country-killing bill! Our fellow TPP groups, Huntsville Tea Party Patriots & the Athens-Limestone Tea Party Patriots, in Alabama have requested our help! It appears the National Republican Committee & House Minority Leader John Boehner is onmeddling in one of their congressional races. They are asking that we join them in telling Boehner to mind his own business. HUNTSVILLE, AL-- Not long after invitations were sent out for a Rep. Parker Griffith fundraising event, headlined by House Minority Leader John Boehner (R-OH), several local organizations from both sides of the political spectrum announced plans to protest the event. Planned for March 8, 2010 at the Space & Rocket Center, starting at 5:00 pm, the protest will include members of the Huntsville Tea Party, Left In Alabama, Athens-Limestone Tea Party Patriots, AAMU Democrats Student Club, The Dale Jackson Show, North Alabama Healthcare for All, Madison County Republican Executive Committee, and the Limestone County Republican Executive Committee. AFL-CIO will be holding a press conference at the Marriott Hotel near the Space & Rocket Center in protestation, before the protest event and the fundraiser. Organizers invite the public to attend. "We are sending a message to the national Republican establishment: stay out of our primary. We also want to support the true conservative candidates that Tea Party activists and the local GOP have gotten behind, Les Phillip and Mo Brooks. We're pushing back against the political machine," said Christie Carden, founder of the Huntsville Tea Party. "Bipartisanship is not dead. People of all political persuasions see that Parker Griffith is an opportunist who cannot be trusted to keep his word. As such, he is not - nor can he ever be - an effective representative for North Alabama. Griffith gave up critical committee assignments at a time when the 5th District is fighting for federal transportation and space dollars, clearly demonstrating that he cares more about his reelection prospects than his constituents. Now, Congressman Boehner is displaying the same indifference to local concerns by meddling in the Republican primary. Such behavior deserves no reward," said Sherry Walker, publisher of Left In Alabama blog, who is encouraging her readers to attend the protest. "Our message to Rep. John Boehner (R-OH) is stay out of the 5th district's business. Mr. Boehner's support of Parker Griffith proves he has a blatant disregard for what the voters in Alabama's 5th congressional district want. The Tea Party Movement began and is continuing today because the people are being ignored. Government officials have forgotten who they work for and "We the People" are tired of it and determined to take our Country Back," said Deborah King, founder of the Athens-Limestone Tea Party Patriots. "The AAMU Democrats Student Club wishes to express its principled opposition to Parker Griffith. We want it to be clear that our opposition is not based on his politics but rather his complete lack of integrity and character. It is our position that Mr. Griffith is a non-principled opportunist lacking the kind of values and political ability to make critical decisions in the best interest of the citizens of North Alabama," said club President, Sharda Lofton. "The willingness of the national GOP to campaign and provide political cover for a man like Parker Griffith over Mo Brooks and Les Phillip makes me wonder how they will govern IF the American People give them another chance. Shame on the GOP for disrespecting the voters of Alabma's 5th District," said Dale Jackson, a local talk radio host who is encouraging his listeners to attend the protest. "Rep. Griffith has shown us that he is not serious about helping people get affordable, quality care. Griffith needs to step out of this race and let someone else represent the people of North Alabama,"said Linda Haynes, coordinator of North Alabama Healthcare for All, a chapter of Physicians for a National Health Program. "I and other Republicans realize that Griffith is an imposter, a liberal Democratic opportunist, and we believe that he should not be allowed on the Republican ballot. Mr. Boehner has no business here in North Alabama, and the local Republican Committee has in effect said so. He would be better advised to bunker down within the confines of his Inside-the-Beltway-Fortress and stay there. Here he is persona nongratia," said Hugh McInnish, a member of the Madison County Republican Executive Committee, who has encouraged the group to attend the protest. "Recruitment of qualified Republican candidates is very difficult and John Boehner has not helped that process. Why would anyone want to run for office as a Republican and be trampled by the National Republican Party against the will of the local Republican Leadership?" said Rex Davis and Don Hudleston, members of the Limestone County Republican Executive Committee, who have encouraged the group to attend the protest. "We have experienced Washington's intrusion in state GOP primaries before and the results were disastrous. Alabama now has a Democratic 2nd District congressman to prove it. It was a wrong GOP move in '08 and it is a wrong move now. Even if it is allowable under party rules, it sends a wrong message that Washington is attempting to choose the 5th District Republican candidate. Seven of the eight GOP chairs inthe 5th District agree that the Boehner appearance is ill-advised and should be cancelled," said Paul Reynolds and members of the Alabama Republican State Committee. TO WHO EVER READ THIS, THIS IS FOR ALL THE ALABAMA TEA PARTY GROUPS. BOEHNER NEEDS TO ASK THE TEA PARTY HOW THEY FEEL ABOUT A CANDIDATE. NOT JUST DECIDE WHO THE GOOD OLE BOYS WANT IN A POSITION. HE LOOKS LIKE SOMEONE WE CAN NOT TRUST. WHAT DO YOU THINK OHIO ? PLEASE, LET HIM KNOW, STAY OUT OF ALABAMA OR STOP USING OUR NAME IF HE DOESN'T CARE WHAT WE KNOW ABOUT SOMEONE. I TRULY HOPE THIS MAKES BOEHNER THINK BEFORE HE THROWS SUPPORT BEHIND SOMEONE. GOD BLESS AMERICA AND GOD BLESS THIS MOVEMENT TO BRING BACK GOD IN OUR SCHOOLS AND HEAL OUR COUNTRY. Patriots, let's stand strong behind our fellow TPP groups! Please contact Minority Leader Boehner (800)582-1001 and ask him to please respect the wishes of these groups & cancel the fundraiser for Parker Griffith. If he truly supports the Tea Party movement -- he will cancel immediately. Local radio program, Sound of Ideas, on WCPN 90.3 contacted us looking to do a show on the Tea Party movement across the nation. We volunteered TPP State Co-Coordinator (OH) & coordinator of the Mansfield Tea Party Patriots, Marianne Gasiecki for this task of wading into the possible treacherous waters of being on an NPR affiliated radio show. Marianne was joined by John O’Hara, Author of A New American Tea Party & Vice President of External Relations, Illinois Policy Institute and Glenn Newman, founder of the Marietta 9-12 Project. All three did an outstanding job! O'Hara, one of the 'real' original Tea Party movmement founders hits a homerun on decsribing how this movement all started and the TRUE meaning of what the Tea Party movement was/is to stand for, and not what has been defined in the media or by some of the groups that are so-called Tea Partys. You can listen to a podcast of the show by clicking here. There is no Lull with the Tea Party! RIGHT? We need to make sure that congress has a false sense of security with the Tea Party, not the other way around.